How do I buy a Mr. Transmission /Milex Franchise? 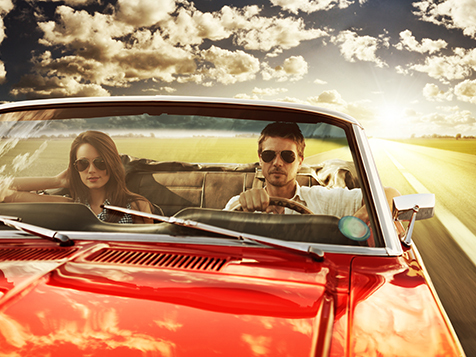 Owning a Mr. Transmission/Milex Complete Auto Care Gives You a Competitive Advantage. 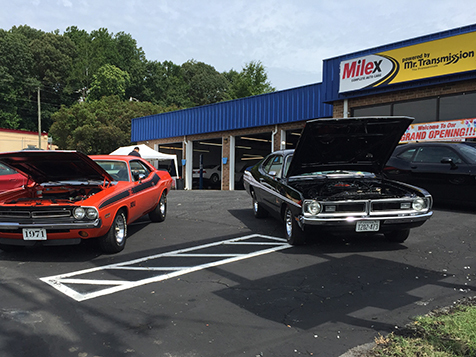 If you’ve ever dreamed of owning your own business, Mr. Transmission/Milex Complete Auto Care offers a recognized and proven franchise opportunity in the Automotive Aftermarket Industry. With both experienced auto technicians and state-of-the-art technology housed under one roof, this franchise opportunity establishes you as a one-stop-shop in a recession-resistant industry providing multiple revenue streams and promoting long-term customer relationships. Open Mr. Transmission /Milex in any of these available states: AL, AK, AZ, AR, CA, CO, CT, DE, FL, GA, ID, IL, IN, IA, KS, KY, LA, ME, MD, MA, MI, MN, MS, MO, MT, NE, NV, NH, NJ, NM, NY, NC, OH, OK, OR, PA, SC, TN, TX, VT, VA, WA, WV, WI, WY, DC. The average age of passenger vehicles and light trucks on the road today has increased substantially to 11.5 years. Consumers are keeping their vehicles longer, thus the need for preventive maintenance and automotive repair is on the rise. Mr. 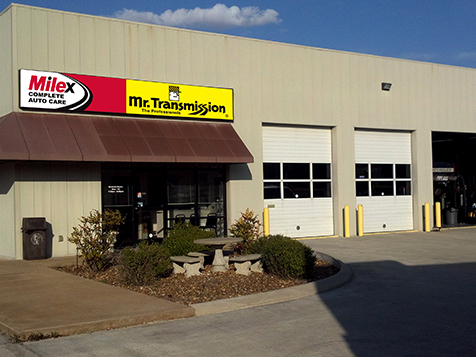 Transmission specializes in the repair and installation of transmission systems and drive-train components. Milex Complete Auto Care offers a wide menu of general automotive repair services from oil changes and drivability issues to complex diagnostic, medium to heavy duty repair, and engine repair or replacement for foreign and domestic vehicles. Mr. Transmission/Milex Complete Auto Care co-brand model is uniquely and strategically positioned to deliver a one-stop-shop repair facility promoting long-term customer relationships and providing more revenue streams for franchisees. Awards - Consistently ranked as one of the top automotive repair franchises in Entrepreneur Magazine® Franchise 500,Franchise Times Up and Coming Franchises, and honored as a Top Military Friendly Franchise by GI Jobs Magazine. Services - Specializing in general automotive repair and maintenance. Franchisor's commitment to building positive franchisee relationships. VetFran and MinorityFran Discounts Available. Moran Franchisee Support Services - Whether you are looking for a single brand opportunity or a co-brand approach, we offer you the support to build and sustain a successful business. On-Site and Classroom Training - During an intensive hands-on training, you will learn everything you need to know to build a successful Moran Automotive Franchise business. Pre-Opening Support Services – From business planning, site selection assistance, to lease negotiation and financing, the Moran support staff is committed to helping you get your business open and running smoothly as quickly as possible. Proven Business Systems - By following the business systems provided by Moran, you will have all the skills and tools to achieve your personal and financial goals. Ongoing Support Services and Franchisee Assistance – In those instances that you may need assistance, Moran is right there to help you solve operational and technical problems and identify new opportunities. For residents of California: THESE ALTA MERE, MILEX COMPLETE AUTO CARE, MR. TRANSMISSION, AND SMARTVIEW FRANCHISES HAVE BEEN REGISTERED UNDER THE FRANCHISE INVESTMENT LAW OF THE STATE OF CALIFORNIA. SUCH REGISTRATION DOES NOT CONSTITUTE APPROVAL, RECOMMENDATION OR ENDORSEMENT BY THE COMMISSIONER OF CORPORATIONS NOR A FINDING BY THE COMMISSIONER THAT THE INFORMATION PROVIDED HEREIN IS TRUE, COMPLETE AND NOT MISLEADING. Mr. Transmission /Milex is not currently active in our directory, but here are some other recommended selections for you to explore.